Solving community problems in a new way. 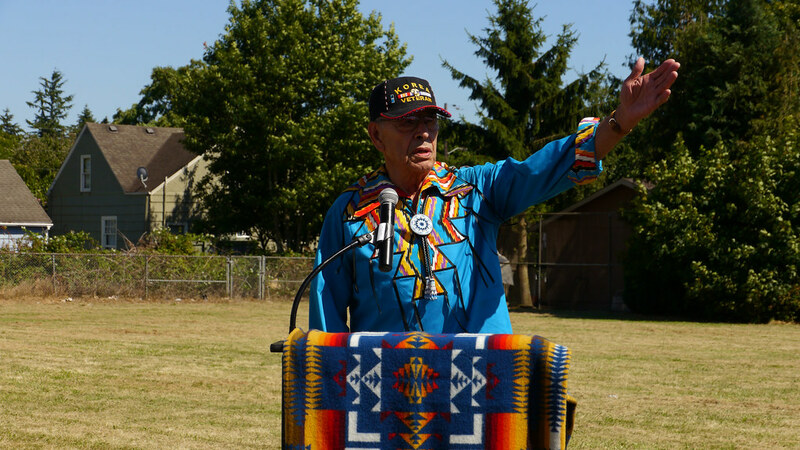 The Oregon Solutions NAYA Generations project was an innovative integrated inter-generational housing and learning community. 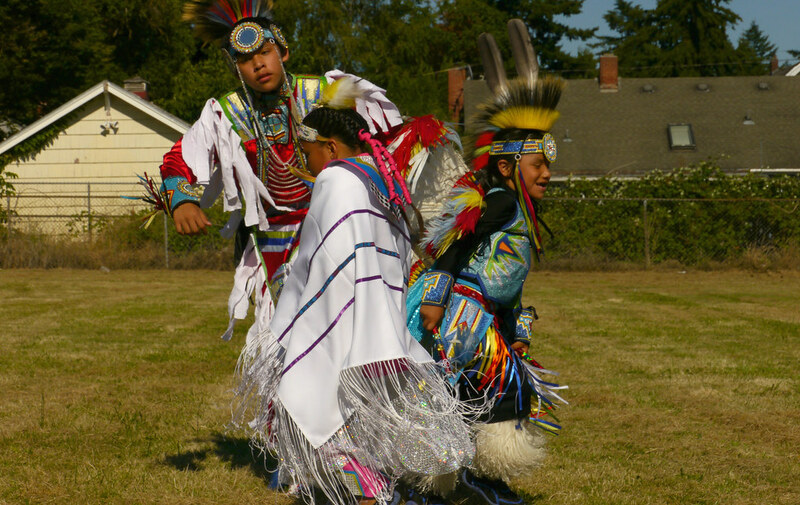 Its residents comprise of some of the Native community’s most vulnerable elements: Children in foster care/child welfare; elders; and early learners. NAYA Generations project was culturally –based and helped guide the delivery of services to residents, learners, and visitors. From design through construction phases, all aspects of the project focused on inclusion and demonstrated positive action in addressing social equity goals. This project was supported by the participation of communities who have been historically disenfranchised and failed to benefit from housing resources, educational opportunity and economic stability. 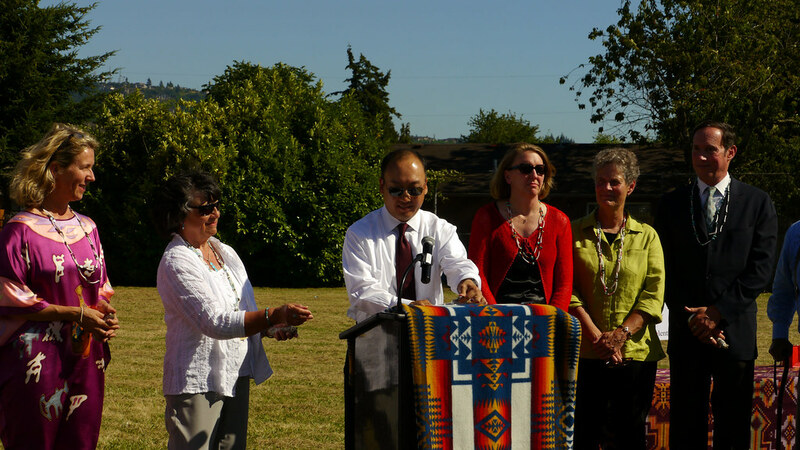 An innovative and inclusive planning process resulted in a Declaration of Cooperation, signed in July 2014, by the partners, with Oregon Department of Human Services, Oregon Child Development Coalition, Oregon Housing and Community Services, Multnomah County, Lents Neighborhood Association, Capital Pacific Bank, Guardian Real Estate Services, Carleton Hart Architecture, LMC Construction, Legacy Health, and Social Venture Partners. 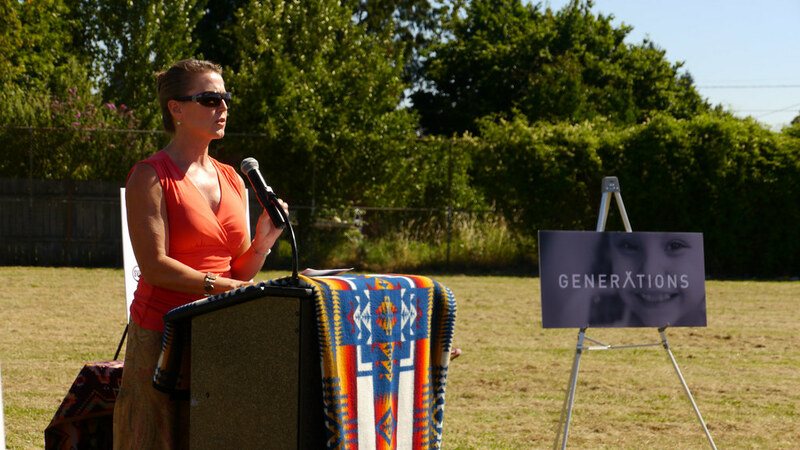 Generations places 40 units of housing, the Early Learning Academy and the Long House in Portland’s southeast Lents neighborhood, at the 3.5 acre site of a former public elementary school. The site is near transit, shopping and public parks. 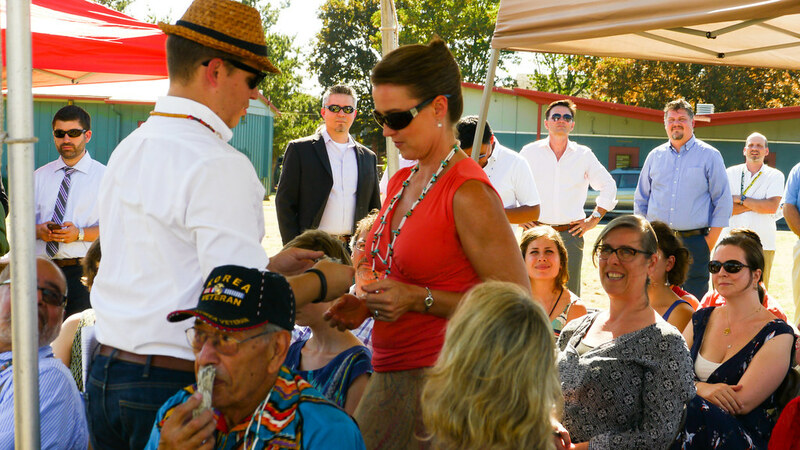 The total project budget for Generations – land, construction, and soft costs – is estimated to be $22,100,000. Almost half of the project funding has been committed at the current time. With a recently-announced award of Low-Income Housing Tax Credits (LIHTC) from the State of Oregon Department of Housing and Community Services, funding for the housing component of the project is in place. Funding strategies for other program elements are under active development. NAYA’s community supporters – individuals, families, and businesses – will be invited to plan their philanthropic support, as critical partners in achieving the vision this project represents. For more information regarding the current status of the NAYA Generations project, please visit the NAYA Generations’ website. Oregon Solutions and NPCC are housed in the College of Urban and Public Affairs at Portland State University.